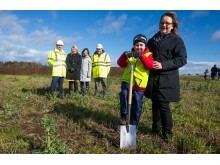 CONSTRUCTION of Moray’s newest primary school gets under way on Monday. 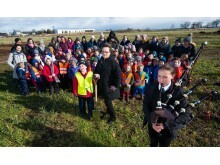 Planning permission was unanimously agreed by councillors in June 2018 for the new £12.8 million Linkwood Primary. 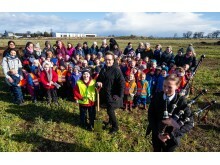 A turf-cutting ceremony took place on Friday to mark the occasion. 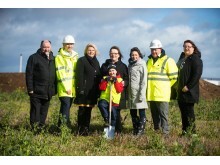 P3 James Kennedy cut the sod, watched by P1 twins Brooklyn and Maddisyn Hambly, their fellow pupils and councillors. 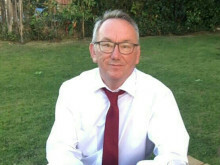 The new school being built in the south of Elgin and will accommodate up to 462 pupils, including ASN provision for up to 12 pupils, once it’s completed in June 2020. Space will also be provided for 40 children in the nursery. 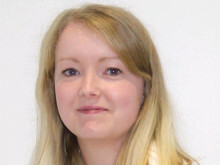 Chair of Moray Council’s Children & Young People’s Services Committee, Cllr Sonya Warren, said the new primary school is a major feature of Elgin South’s redevelopment. Head Teacher Fiona Stevenson, said it’s exciting for the pupils to now see the start of the new school and watch as the new build progresses. 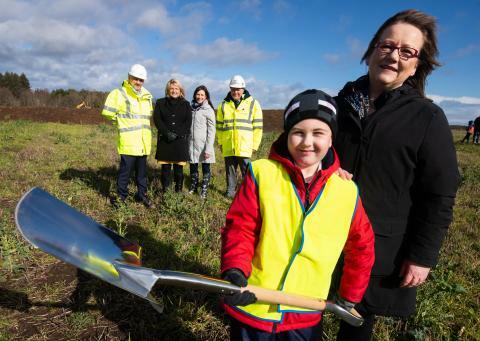 Moray Council is working with hub North Scotland and contractors Balfour Beatty to build the school, which will replace the existing Linkwood Primary currently based at End End School annexe.